LIBERTY, S.C.—Cornell Dubilier has introduced new metalized polypropylene film capacitors for uninterruptible power supplies (UPS), AC power supplies, and general AC filtering applications. The 951C and 953B series offer strong performance for filtering in applications where high ripple currents are encountered and benign end-of-life failure mode is essential, according to a release from the manufacturer. The 951C has a cylindrical body with axial leads, and the 953B has a rugged radial box form factor. Both capacitors offer a fused, segmented metallization pattern, providing significant circuit protection, the company said. UL 810 approval assures fail-safe operation under fault conditions. The metallization pattern is deposited on a low-loss, high-grade polypropylene dielectric. The built-in fuse-links are said to limit capacitance loss to a small segment within the capacitor. This capability is in contrast to the larger areas of uncontrolled capacitance loss observed with non-segmented types, and is not usually available for board-mounted capacitors. The axial-leaded 951C Series is offered in values ranging from 0.825 to 40 µF, while the 953B spans 2.5 to 50 µF. Voltage ratings in both series are available at 160, 250, and 275 Vac. Both types offer -40 to +85ºC performance and meet the requirements of UL 94V-0 for flammability. With a 10,000-hour service-life expectancy without derating, series 951C and 953B capacitors are reported to excel at providing reliable filtering and smoothing for today’s demanding applications in UPS systems and AC power supplies, among other applications. Samples of 951C and 953B capacitors are available in 4-6 weeks, production in 8-10 weeks, according to Cornell Dubilier. 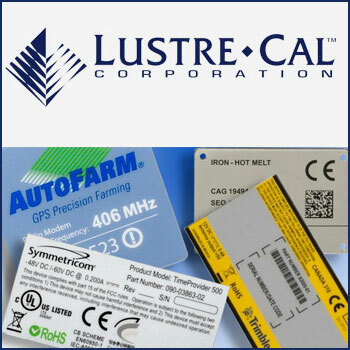 A global company, Cornell Dubilier (http://www.cde.com/) has ISO-9001 certified manufacturing and distribution facilities in Liberty, South Carolina; New Bedford, Massachusetts; Mexicali, Mexico; and Hong Kong.